To understand the true cost of a printer, you need to think about how much you’ll pay for consumables each time you print a picture. The cost of printer paper, and toner or ink, can add up quickly. 1For a dye-sub printer, calculate the cost of the paper and dye ribbon. 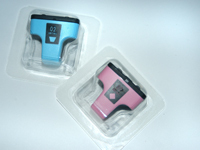 You buy these consumables together, with each packet producing a specific number of prints. 2For inkjets and laser printers, find out what kind of paper the manufacturer recommends and then check prices for that paper. Calculating your ink or laser toner costs is pretty difficult, however. No single standard for calculating this data exists, so you really can’t compare apples to apples. 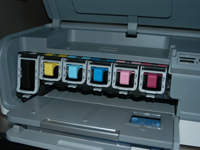 3If you’re buying an inkjet printer, choose a printer that uses a separate ink cartridge for each ink color (or at least uses a separate cartridge for the black ink). On models that have just one cartridge for all inks, you usually end up throwing away some ink because one color often becomes depleted before the others. 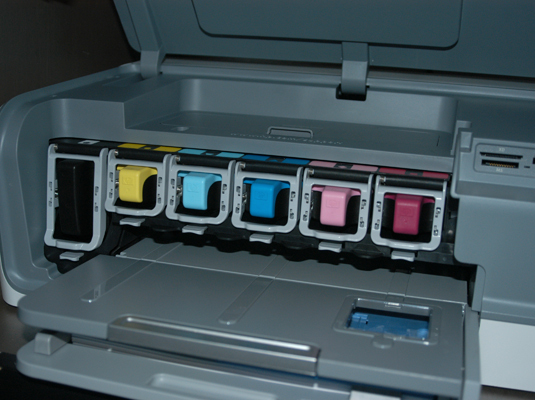 4Check whether a printer needs special photographic ink cartridges. In some cases, these cartridges lay down a clear overcoat over the printed image. In other cases, you put in a cartridge that enables you to print with more colors than usual. These special photographic inks and overlay cartridges are normally more expensive than standard inks.